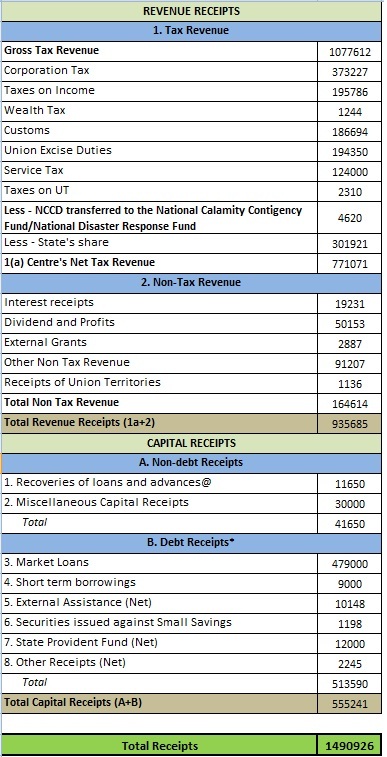 The fiscal deficit for 2013-14 is contained at 4.6 percent and to be contained at 4.1% in FY15. The current account deficit is projected to be at USD 45 billion in 2013-14 down from USD 88 billion in 2012-13. Foreign exchange reserve will grow by USD 15 billion in this Financial Year. Through the Direct Benefic Transfer (DBT) Scheme, a total of 628 crore (54,20,114 transactions) has been transferred directly to the beneficiaries till 31st January 2014 under 27 Schemes. The Excise Duty on all goods falling under Chapter 84 & 85 of the Schedule to the Central Excise Tariff Act is reduced from 12 percent to 10 percent for the period upto 30.06.2014. 10 per cent hike in Defense allocation has been given in comparison to BE 2013-14. 11,300 crore is proposed to be provided for Capital infusion in Public Sector Banks. Public Debt Management Agency Bill is ready with the Government. It is proposed to establish a non-statutory PDMA that can begin work in 2014-15. Finance Minister P. Chidambaram has kept up his promise to keep the deficit within the most reiterated red line of 4.8%. However the means by which he minimized the deficit is well known i.e. by rolling over the subsidy payments in the following year. Bond markets were more closely eyeing gross and net borrowing number which more or less were in line with market expectation however many doubt whether the same will be adhered to given high probability of India having someone else managing the finance ministry ahead. 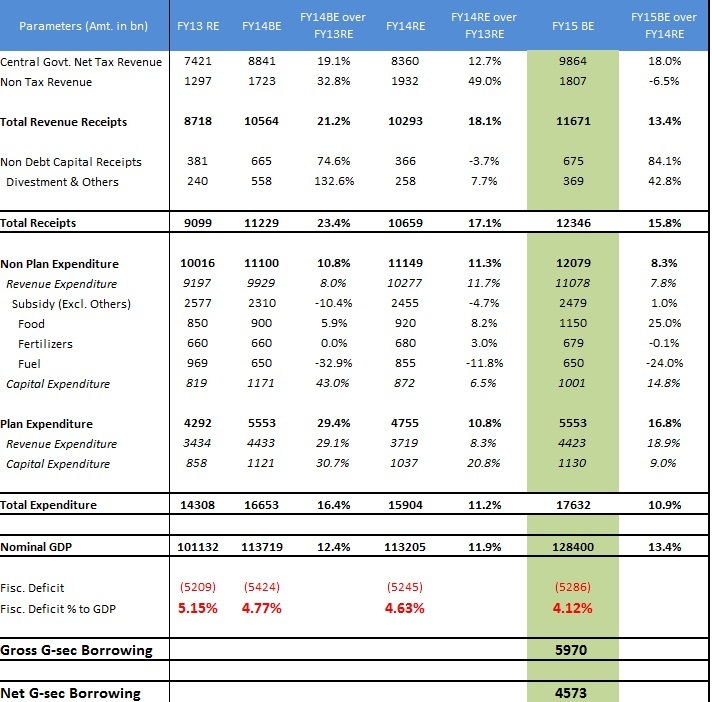 Demand supply dynamics at a net borrowing number of ~4.6tn seems favorable however above statement of increasing the FX reserves by USD15bn and RBI’s bias towards low SLR may dampen initial calculations. It wouldn’t be surprising if debt return outpaces equity in the next one year hereon. 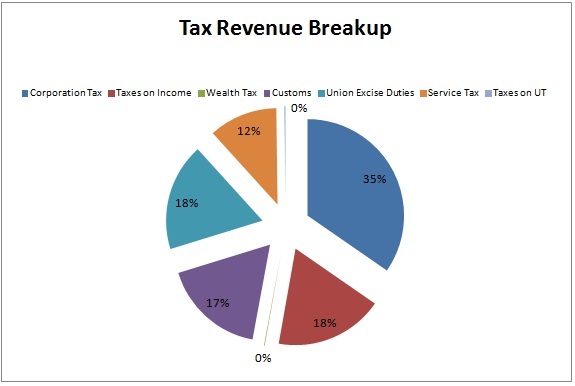 Weak demand and reduced tax rate make the tax collection projections tad optimistic. The most watch and worrying factor, subsidy, is planned for INR 2.47lk cr. However unnatural movement in Oil and Fertilizer prices may bring up uncomfortable numbers. FM pegged FY15 growth at 5% and nominal growth at 13.4% which tentatively prices in an inflation (precisely GDP deflator) of 7.6%. Bond market’s reaction to budget is that of a non-event. Going forward, Fresh issuance & switch (500bn) calendar in addition to inflation and domestic currency will guide the markets. On 20/07/2012 I posted basic layout of Govt. Income & Expenditure with Budget Figures of 12-13E. Today let’s try and get deeper into it. 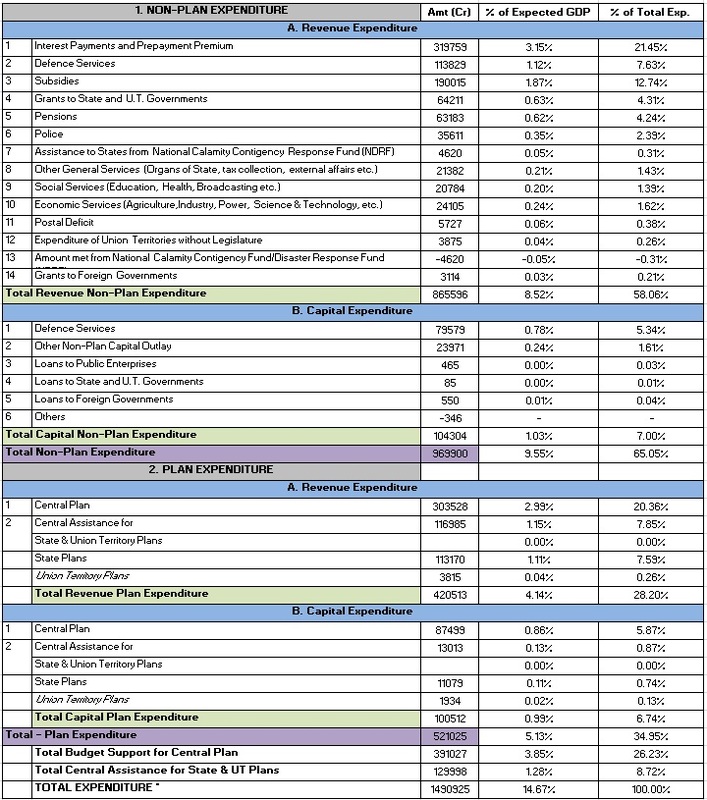 Below is the information based on Budget 12-13E which is available in public domain.